I love London! On my first day, I was in fantasy land. How can streets and sidewalks be this clean? Where’s the garbage, poop, and unidentifiable muck? Why are cars stopping for pedestrians? Tap water is drinkable and power outages rare? An apartment somewhere south of the Dadar bus stop, where I arrived from Pune. In India I spent my final week in Mumbai. 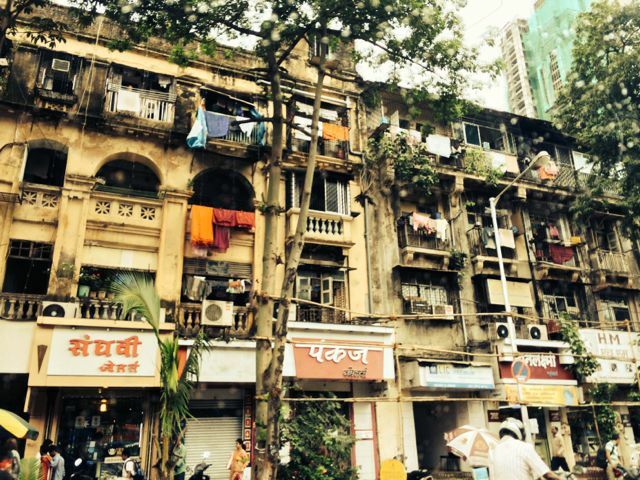 This city is incomparably larger than Pune–and urban life is amplified and multiplied. The noise, the air, the population, the traffic, the rain and wind and humidity! Since I stay with a friend, however, I was generally shielded from the struggles of daily life. Take food. I’ve raved about the cooking of Abelin, my friend’s wonderful housekeeper. She’s among my favorite memories of India. Not only did I glean cooking tips from her, but by example she demonstrated the power of strong spiritual faith (she is Catholic), of self-awareness (she knows exactly who she is), and of joyfulness (she is always smiling, always positive). I initially overlooked how, step by step, her delicious dishes came to be–until I went shopping with her. 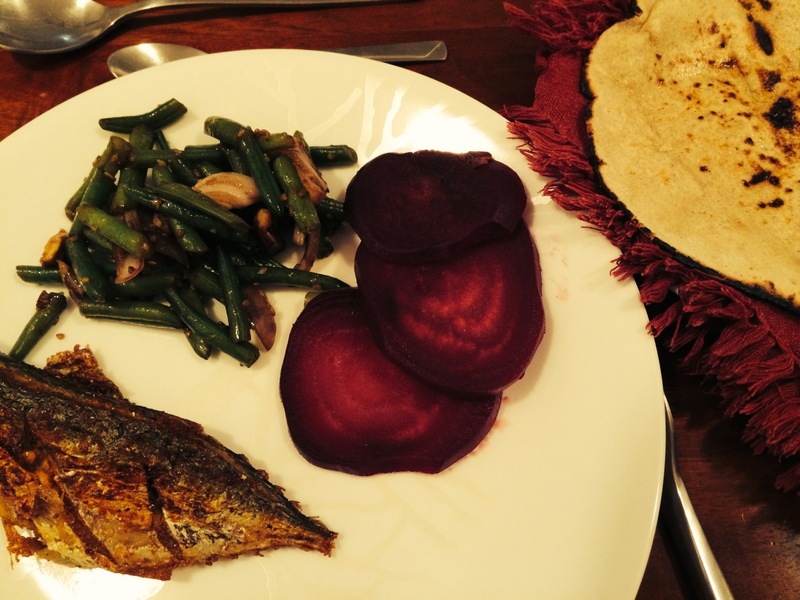 Home-cooked mackerel, beetroot, green beans, millet roti. It was drizzly that day, and we had to cross a few tricky roads to reach the vendors. Once there, dozens of sellers were squatting under makeshift tarps, on soggy ground, deep in mud, with the odor of rotting produce and who knows what from days past. Holding her little umbrella over both of us, I walked very gingerly, as falling would’ve been a nightmare. The sidewalks were clogged with vendors, so pedestrians had to navigate through whatever space remained. Shopping in Pune was child’s play in comparison. I could hardly imagine lugging a heavy bag of produce, gripping an umbrella, dealing with multiple cash transactions, traversing slippery muck, trekking a considerable distance for staple ingredients. In this mega city, produce is still sold in village-scale format. When we arrived home, I felt as if I deserved a medal or something. I was exhausted and needed to shower and shampoo; even my top was speckled with brown spots. It gave a whole new meaning to home cooking. 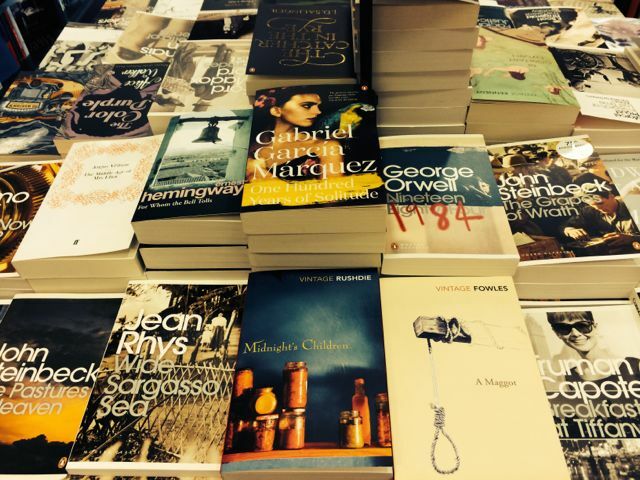 So, here in London, I feel a sense of relief, of freedom, of autonomy. Near my hotel in Bloomsbury, there are countless food options, including lots of grocery stores and healthy takeout; a Waterstone’s bookstore (a chain, but more literary than Barnes & Noble or Chapters); two tube stations; the British Museum. Beyond, I can get anywhere, by foot or public transport. 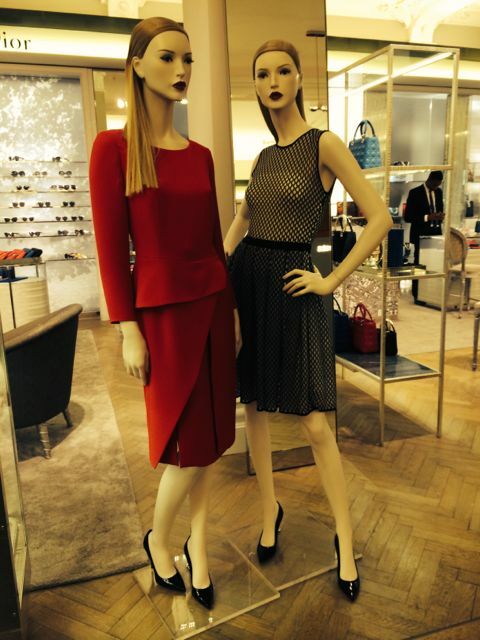 Yes, life is fast-paced, ambitious, and expensive in London. But, life is also easy here, likewise in Vancouver, San Francisco, and everywhere I’ve lived and known. In India, you must have a different set of survival skills. Having grown up in Hawaii, I had to see the volcanoes exhibit at the Natural History Museum. 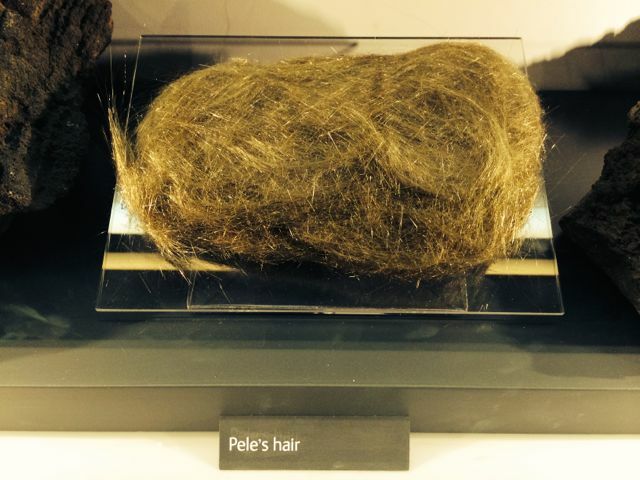 An impressive specimen of Pele’s hair. 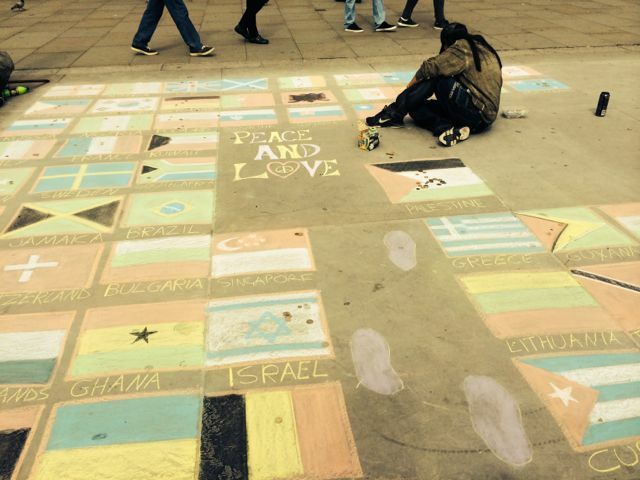 Chalk art in front of the National Gallery. 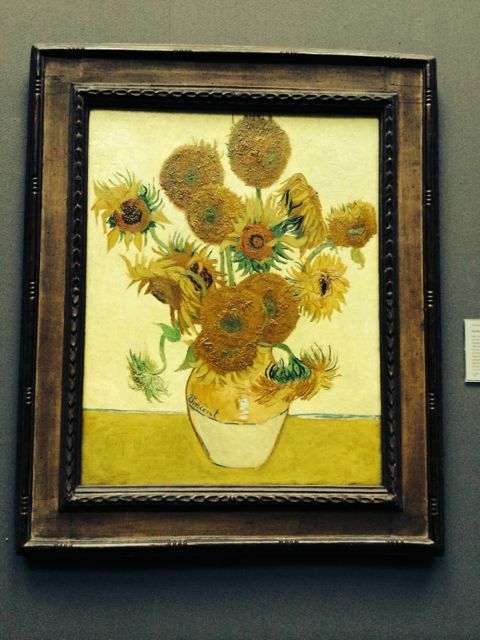 Most of us need an art history refresher to appreciate van Gogh and the other European masters. 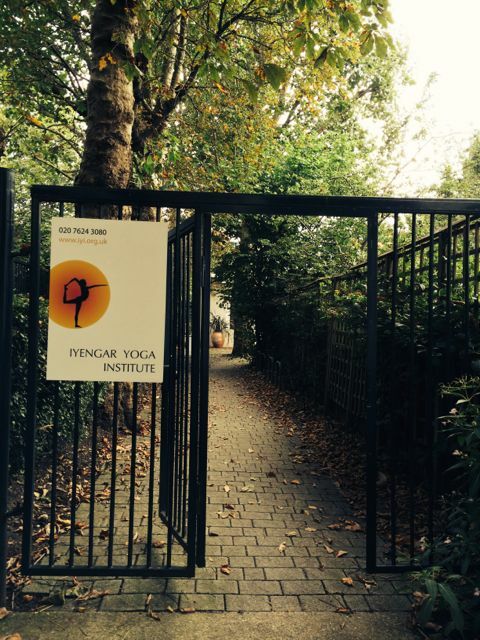 Attended a class by senior-level teacher Penny Chaplin at Maida Vale. I’m going to miss your bulletins from Pune and Mumbai, Luci. But as I head that way myself again in November, I feel so much better prepared after reading your tips and recommendations. So grateful, and fun reading. Thank you! Luci, I’ve loved reading your blogs. Thank you for paying such close attention and articulating it so well; smartly and lovingly. Safe trip home. Ellie (your worst-ever yoga student) and Sadie the poodle. I want to go to India! Thanks for all the great insights, Luci.